Having a new kitchen fitted into your home can be as exciting as it is stressful, this quick guide will clue you in on a few things you might have forgotten to consider, to help you enjoy your new kitchen as fast as possible. The kitchen is often referred to as the heart of a home, and though it’s a lot of effort to fit a new one, it’s always worth it in the end. A new, more updated kitchen will add to your home’s resale value and allow you to update your old kitchen to meet your new tastes. Before you start planning your new kitchen, remember to budget. Figure out how much you can afford to invest in your new fitted kitchen and start estimating costs for the various features that will need to be included. When you’re budgeting, remember to set aside a little extra on top of your allowance in case something comes up or goes wrong. 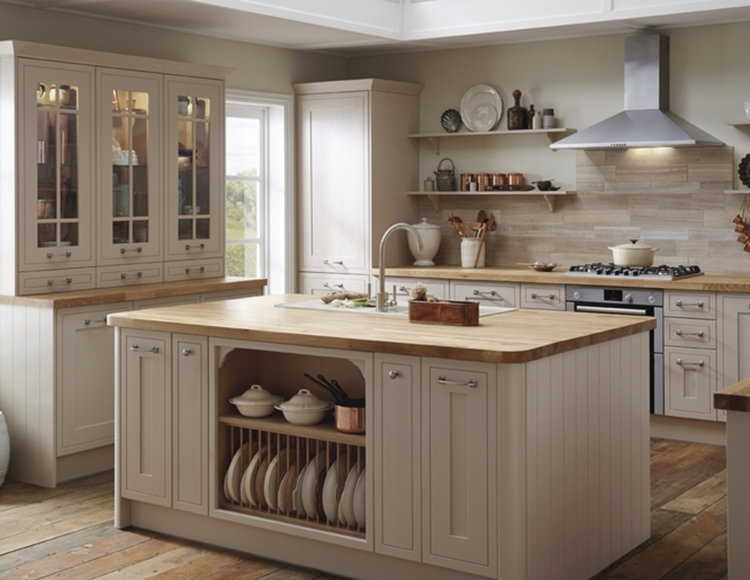 Unplanned expenses happen, especially when you’re designing a bespoke kitchen for your home. 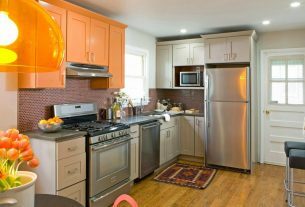 Set a reasonable renovation timeline for your new kitchen. Give yourself enough time to get everything in place, fitted, and painted. Try to fit your new kitchen all in one go, rather than starting the project, going on a break or holiday, and coming back. Block off a couple of weeks to complete the project to its fullest and remember to hire professional help where its needed. Ensure that you take the measurements of your kitchen space before you start designing and buying. You can buy most, if not all, of your new kitchen layout online, but if your measurements are off, you’re going to find that what’s delivered isn’t exactly what you expected when you ordered your kitchen units. Think about how the kitchen will represent you and the rest of your home. 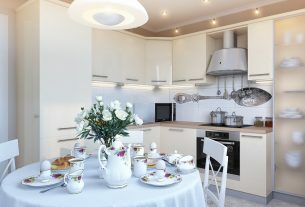 A home should show the character and personalities of its inhabitants, and shared areas (like kitchens and living rooms) often have similar or complimentary colour schemes for this reason. Avoid mismatching the schemes of your lower rooms. As an example, it would look odd for a home to have a sleek, monochrome living room space and a traditional, country kitchen. 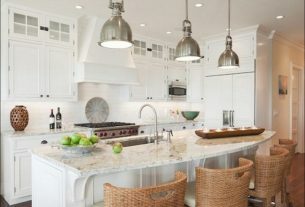 Consider the lighting of your kitchen carefully, and check that all areas of the kitchen that need to be well-lit, are. 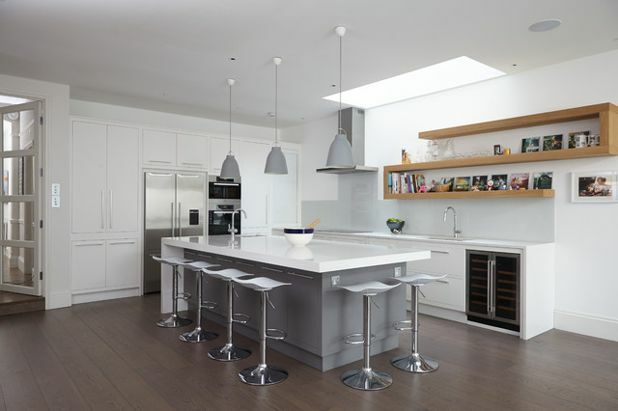 Alongside typical ceiling lighting, you may want to fit downlights or under lighting beneath your kitchen cabinets. These are great for a more ambient lighting look and will light up your worktops without you needing to use the ceiling lights, which will typically cost more in electricity. 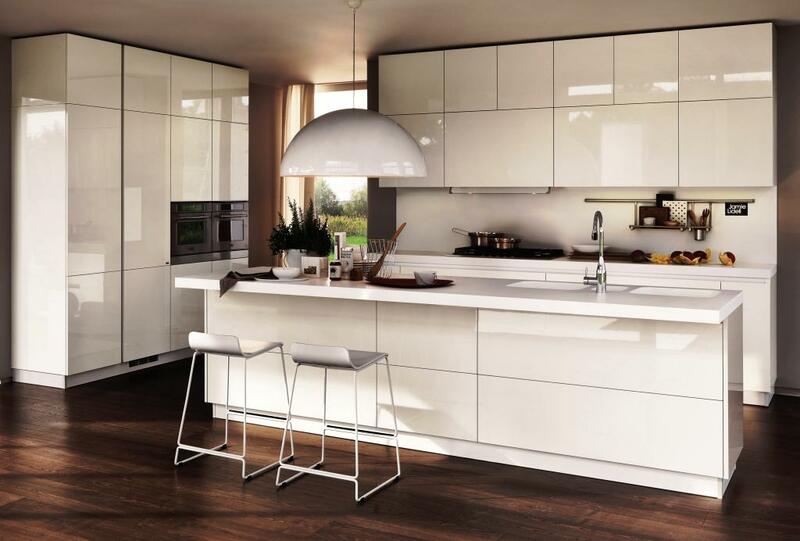 Finally, remember that you won’t have a kitchen for the duration that your new one is being fitted. You’ll need to account for meals that you can’t cook, and a lack of water access in the kitchen area. Fit the most important units in the kitchen first (such as the sink), and ensure that you have someway make or heat up food while your kitchen is being renovated.